A re-working of your SAP landscape can be required for any number of reasons. Whether your software is out of support, your business has outgrown its existing systems or you’re investing in SAP for the first time, the successful management of your implementation process is critical to delivering positive and predictable outcomes as quickly as possible. Be it through acquisition or organic growth, a rapidly expanding global business can yield a complex and disjointed landscape of both ERP and best-of-breed and systems. 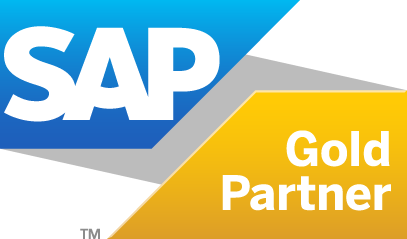 SAP’s wide-ranging functionality offers you the opportunity to consolidate to one common global solution, retiring older systems to streamline your enterprise landscape. De-mergers provide a similar challenge in reverse - separating out systems for newly independent entities. SAP continues to innovate and evolve and its next generation platform, SAP S/4HANA leads the way - moving you into a bold new era with optimised, upgraded systems that are key to staying at the cutting edge in a more digital world. At AgilityWorks, we can help you understand how SAP S/4HANA new capabilities translate into both standardised processes and competitive advantage for your business, then deliver those benefits through expertly managed implementation services. Our SAP S/4HANA implementation approach follows SAP’s own Activate methodology, designed to accelerate implementation and minimise new process design. When combined with our own strategic, business-focused methodology ‘Active 7’, you’ll benefit from a fast and efficient realisation of business outcomes. Home to one of the UK’s largest SAP S/4HANA transformation teams, AgilityWorks provides both the technical knowledge of the platform and the real world experience of delivering it. Few consulting partners can match our expertise in this area or bring the pre-built frameworks, tools and content to accelerate your project. At AgilityWorks, we have an enviable record of successful implementation projects right across the SAP suite - but significantly across SAP’s next generation platform SAP S/4 HANA. With specific experience in the Utilities, FMCG, Aerospace & Defence sectors, we couple that track record with demonstrable knowledge of your industry and its unique needs.